Aria Technologies Africa (ATA) is part of the global Aria Technology group. ATA is entrenched on the ICT landscape as a cutting-edge solutions and service provider to customers in South Africa and across Sub Saharan Africa. ATA provides both Hybrid, IP, Hosted and Cloud communication solutions that strategically enhance organisations’ capability to effectively connect, communicate and compete in the Sub Saharan economies. ATA’s philosophy is simple: limit distribution to “Best in Class,” with the most appropriate solutions for the proposed markets, and back those products and services with highly skilled, comprehensive sales, marketing, training and engineering support. ATA is well positioned in the increasingly competitive telecommunications market, not only as a distributor of innovative products, but also with the capacity to deliver specialized pre- and after-sales service. ATA further complements this with ongoing product evolution and innovation with our partners, ensuring we meet the continually changing needs of our customers across the Sub Saharan African market. As an African based company, ATA recognizes and understands the continent’s unique business requirements and growing demands in ICT solutions. ATA has an extensive portfolio of end-to-end product and solutions that can be customised for client’s unique market requirements, with basic and complex VPN, Voice, IT and Cloud Services, Applications, Data Networks and Mobile Technologies. Apart from simple and smart networking solutions, ATA provides unified communication solutions to various enterprises; from small to medium business and for large enterprise and government. Aria Technologies is the leading Australian distributor of some of the world’s most popular and advanced communication solutions from LG-Ericsson. Aria partners with this leading Global manufacturer to provide full local engineering support and training to over 200 Channel Partners throughout Australia, the Pacific as well as stocking a full range of new systems and spare parts to meet market demands quickly. Aria’s philosophy is simple: limit distribution to “best in class” with the most appropriate ﬁt to the proposed markets, and back those products with highly skilled, comprehensive sales and engineering support. Complement this with ongoing training for our Channel Partners to produce a solutions portfolio that continues to evolve, ensuring we meet the changing needs of the Australian market. The company was founded in January 2000 and is an innovative provider of sales, marketing, technical and logistics support to its 200 plus channel partners. Since inception, more than 100,000 systems have been supplied to the Australian market. Aria Technologies is supplier of Australia’s Number 1 selling system in the 0-100 port market and commands dominant market-share for systems supplied to Australia’s largest carrier Telstra, which are marketed under the Telstra brand. Aria Technologies has an exclusive strategic partnership with Macquarie Telecom, Australia’s leading business only, integrated Hosting and Telecommunications company. Aria’s cutting edge IPTel and Unified Communications solutions are bundled with Macquarie’s Multi-Protocol Label Switching (MPLS) Data and Voice services to tailor solutions for the individual needs of each customer. Aria Technologies is based in Melbourne, with offices in Sydney, Brisbane, Perth and Johannesburg. 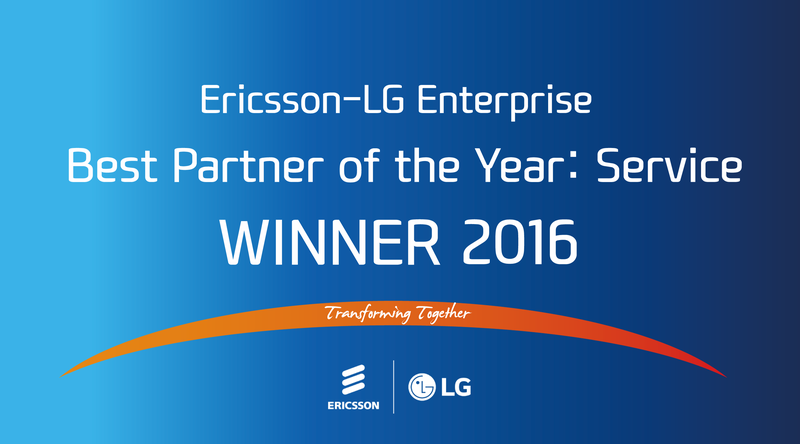 In recent years has won top international recognition as a LG-Ericsson Platinum Distributor and in 2008, 2009 & 2011 was awarded “Best Performance” Distributor, against distributors covering 53 countries including USA, UK, Germany, Spain, Italy and Sweden to name but a few. Aria Technologies’ success in gaining these awards were due to a number of factors including sales growth, product testing and approval processes, product support, marketing programs, dealer training and support infrastructure and brand protection policies. These awards also reflect the strength and competence of Aria Technologies Channel Partners.